Jupiter is the fifth planet from the Sun and the largest planet in the Solar System. It is a gas giant with mass one-thousandth of that of the Sun but is two and a half times the mass of all the other planets in the Solar System combined. 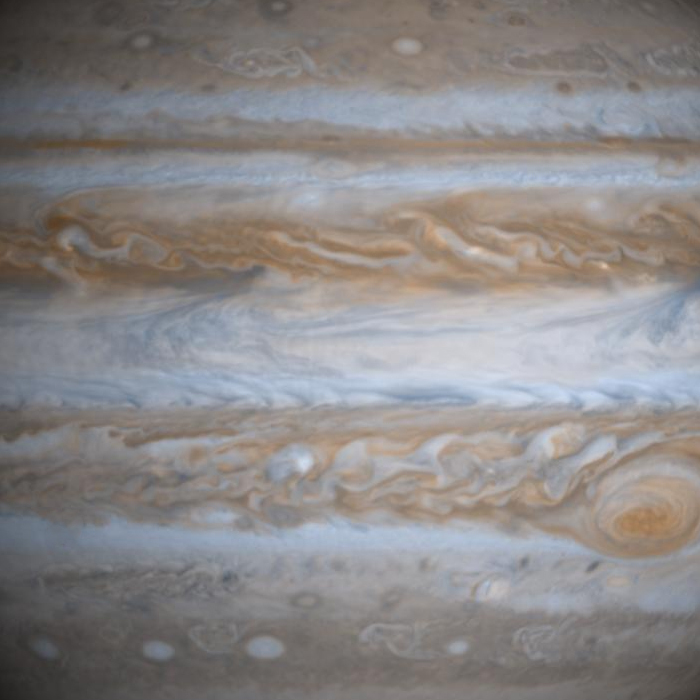 Jupiter is classified as a gas giant along with Saturn, Uranus and Neptune. Together, these four planets are sometimes referred to as the Jovian or outer planets. The planet was known by astronomers of ancient times, and was associated with the mythology and religious beliefs of many cultures. The Romans named the planet after the Roman god Jupiter. When viewed from Earth, Jupiter can reach an apparent magnitude of −2.94, bright enough to cast shadows, and making it on average the third-brightest object in the night sky after the Moon and Venus.